Worldwide Ummah Aid (WUA), a charity which operated to relieve poverty in Eastern Europe and the Middle East, has been dissolved with two trustees (B and C) removed as trustees from the charity by the Commission and one removed (A) by fellow trustees, following an investigation by the Charity Commission. The Commission first engaged with the charity after Trustee A was stopped by the police at Heathrow airport in 2014 carrying a significant amount of money in cash, purportedly for the charity. Trustee B, travelling on the same flight, appeared to have no knowledge of this. The Commission subsequently launched a statutory inquiry. The inquiry found evidence of misconduct and/or mismanagement in the charity’s administration by the trustees. Trustee A was the sole signatory of the charity’s bank account for transactions up to £15,000 and bank statements showed money has been withdrawn in cash amounting to over half of the charity’s total income. Many of these transactions occurred in the days preceding a flight to Turkey by Trustee A. The charity was making loan repayments on a Mercedes car, owned by Trustee A. Trustees B and C allowed large sums of money to be withdrawn and taken in cash overseas by Trustee A, with no due diligence or checks on the end use of the charity’s funds. This resulted in Trustee A being removed from the charity by the other trustees, and subsequently automatically disqualified as a result of regulatory action in another statutory inquiry. The Commission used its powers to removed trustees B and C from serving as trustees. Following an application for dissolution of the charity by the remaining trustees, WUA has been removed from the register, with its charitable funds redistributed to another charity. The public rightly holds trustees to a high standard of conduct. Charities hold a special status in society and trustees should be their careful custodians, ensuring all decisions are taken in the best interest of the charity’s mission and purpose. The trustees of WUA were reckless with charitable funds and acted against Commission advice by carrying cash overseas. This practice is high risk and put valuable charitable funds in jeopardy. Through their misconduct and mismanagement the trustees jeopardised the trust that donors placed in those responsible for the charity. It’s therefore right that the Commission acted to disqualify the trustees responsible. 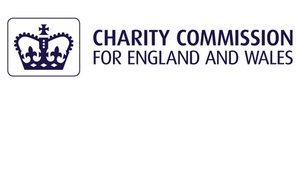 All charity trustees are under legal duties to safeguard their charity’s money and assets and to act prudently.